In June 2017, Amazon refreshed the Kindle Fire product line. The most popular model updates to the 7th generation. Compared to the 2016 release version, the new generation mainly improves the hardware specs, while the appearance almost keeps the same. At first, I thought I can use the 2016 version protective case on the new Fire HD 8. It turns out I was wrong. In fact, there is a minor difference between these two models, you can check the image below. The volume buttons and stereo jack exchange the position, if a 2016 version protective case cuts the holes separately, then it isn’t compatible with the 2017 version. 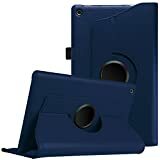 If a 2016 version protective case leaves out a big hole for both the volume buttons and stereo jack, then you can use it on the 2017 version Fire HD 8. 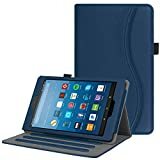 This article contains dozens of most recommended protective cases for 2017 version of Kindle Fire HD 8. 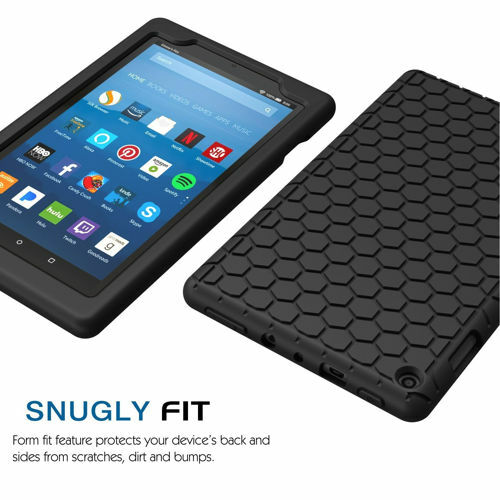 This handy tablet case has several special features that make it stand out among the rest. Equipped with an auto wake and auto sleep feature, the Ztotop Folio Case will automatically turn the tablet screen on when the case is opened and off when the case is shut. 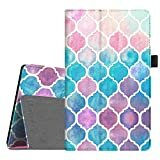 Designed with durable synthetic leather on the outside and soft microfiber on the inside, this case will protect your device and keep your screen clean. The magnetic clasp means you don’t have to worry about dealing with a latch or button to keep your case closed. 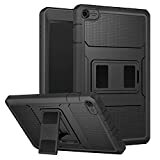 With a pocket for a stylus, a kick stand to make watching videos easier, and an interior hand strap so you can hold your tablet one handed, this case has everything you could want. Choose from more than 20 stylish designs, including Starry night, galaxy print, and the American flag. For such a classic style, you have some similar choices, like this one. 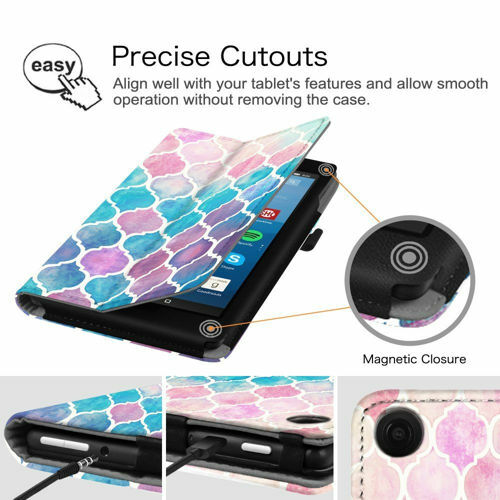 This tablet case comes with an auto wake/sleep feature that will turn your screen off and on when the case lid is closed or opened. 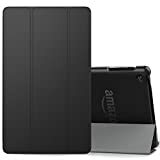 Engineered to be slim instead of bulky, and made of durable synthetic leather on the outside and synthetic leather on the inside, your tablet will be protected and lightweight. A kick stand makes hands-free reading or video watching simple. Choose from 20 sleek and trendy designs. Choose from more than 30 colorful, exciting, eye-catching designs. Also equipped with an auto wake and auto sleep feature, this tablet is a smart choice for easy access. 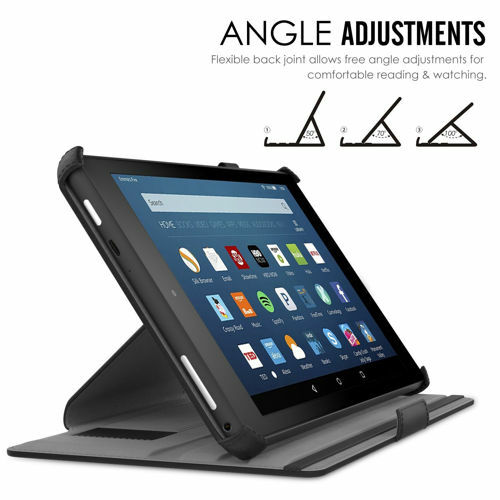 The cover flips around to form a kickstand, making hands-free reading and video watching super simple. 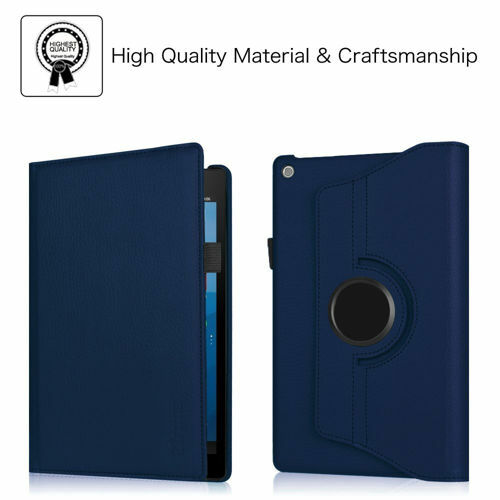 With a smart design and durable synthetic leather, this case looks great and is extremely convenient for anyone looking for a good way to protect their tablet. The Case for Fire HD 8 2017 by MOKO is the durable, stylish, and high-quality item that you need to get today for your tablet. This device is also very easy to remove and install, and you will manage to do this in no time. The Case for Fire HD 8 2017 by MOKO also exudes a classy look that you will love right away. 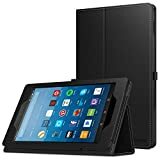 If you have to type or watch a movie, the Case for Fire HD 8 2017 by MOKO is for you because the item also comes in PU leather. 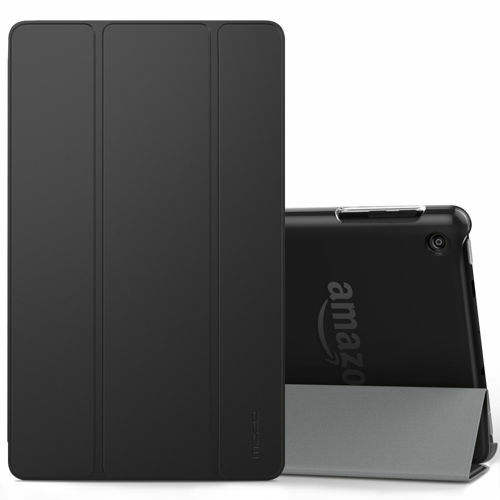 The Case for the All-New Amazon Fire 8 Tablet by MoKo will allow you to protect your tablet quickly and easily. The item also has the lightweight design that you will love right away. This is the slim case that you have been looking for these days. The Case for the All-New Amazon Fire 8 Tablet by MoKo is truly comfortable to hold when you are just reading. The device will not hinder the operation of the functions of the tablet including cameras. 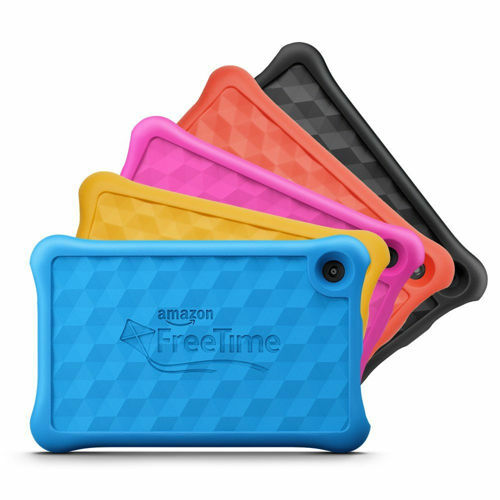 The Case for Amazon Fire 8 7th Generation by MoKo will come in a wide array of colors that you will adore. This is the substantial gel case you need to get today where you feel that your tablet will be protected against any kind of untoward event. 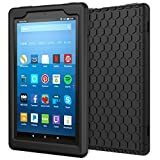 You will also notice that the Case for Amazon Fire 8 7th Generation by MoKo is truly superior to many gel cases out there. The Case for Amazon Fire 8 7th Generation by MoKo will make it easy for the table to hold on to the case as well. This will allow you to get true peace of mind when you need it most these days. So take action right now. 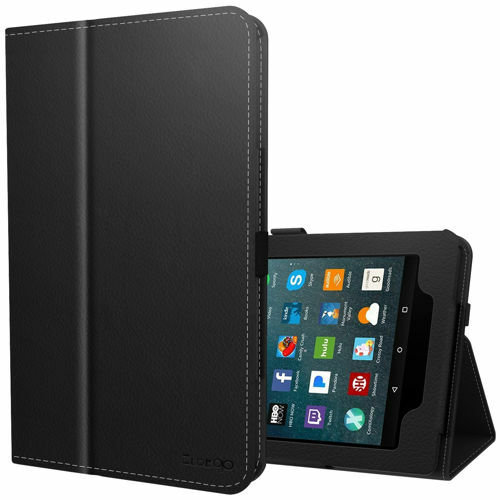 This case is designed specifically for Fire HD 8 that is perfect for seventh Generation – 2017 Release only. It has Simple access to all components and controls.it is Rugged, Dual-layer Protective Ace designed from High-Quality Material Witch withstands incidental drops, knocks and stuns. It can’t 100% stay away from the screen harm if tablet tumble from some specific stature or edge. Outfitted with strong double layer design with polycarbonate hard shell embedded with an adaptable TPU and one-layer that protects against scratch. I t has Built-in Screen Protector. Worked in Full HD premium screen defender forestalls scratches and tidy. It usually comes with Lifetime Warranty. One can get this case in varieties of colors. Designed by Fintie to completely secure and impeccably fit All-New Amazon Fire HD 8 (Exclusively designed and just perfect with the seventh Generation – 2017 discharge) Premium hostile to scratch, non-slip manufactured Leather outside, delicate micro fiber fixing with 5 dynamic hues suit your style and match the first Fire HD 8 hues. 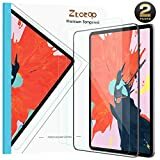 Slim design with worked in transformable multi-edge remain for sans hands seeing in scene or representation introduction Full-cover case with attractive conclusion keeps the cover safely close with simple access to buttons, ports, and cameras. 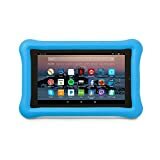 Precisely fit All-New Amazon Fire HD 8 Tablet seventh era, 2017 discharge. 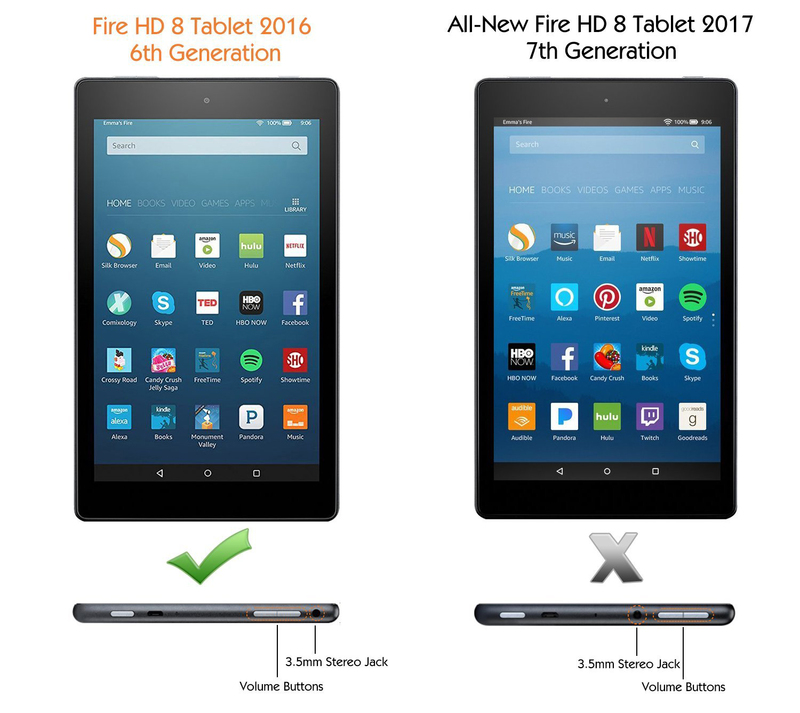 Specifically designed for All-New Amazon Fire HD 8 (Seventh Generation, 2017 Release). Additionally Compatible with Fire HD 8 Previous sixth Generation (2016 Release) . Rotates 360 degrees in the case for 3 adaptable survey positions (2 scenes, 1 representation). 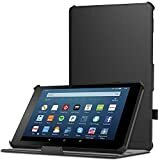 Designed with versatile circle shrewd holder for Stylus/Pen (stylus excluded) Soft miniaturized scale fiber inside and premium engineered cowhide outside splendidly secures Fire HD 8 (seventh Gen, 2017/sixth Gen, 2016) against scratches and tidy Custom-fit back shell gives Easy clasp on application, keeps your gadget secure and gives you simple access to all ports Magnet worked in to help Auto rest/wake include. 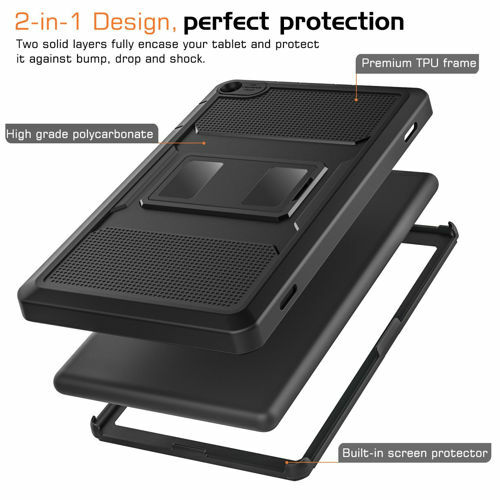 Here is another fire HD 8 2017 case that is a consummate child cordial partner, designed to secure all Fire HD 8 .it is just perfect with the only seventh Generation – 2017 release .it offers protection against knocks and drops. 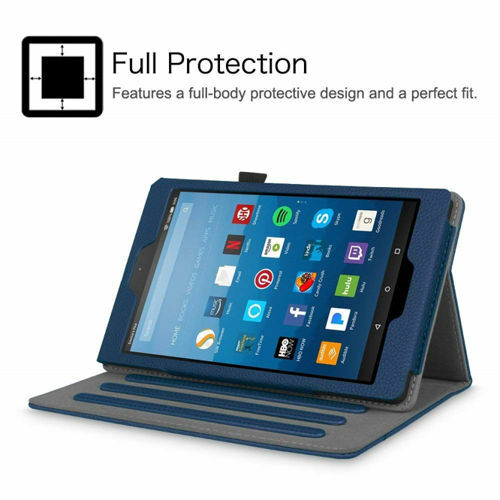 This case is truly made from a lightweight, solid, kid-safe material that is intended to protect the new tablet to their maximum. It has Easy access to buttons, ports, and cameras.